Thinking is at the heart of our everyday lives, yet our thinking can go wrong in any number of ways. Bad arguments, fallacious reasoning, misleading language, and built-in cognitive biases are all traps that keep us from rational decision making. What can we do to avoid these traps and think better? Is it possible to think faster, more efficiently, and more systematically? 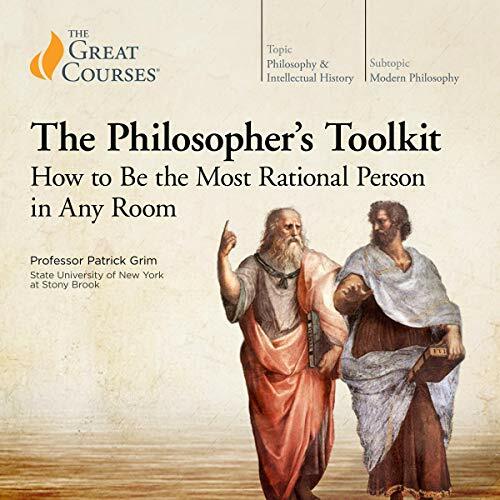 The Philosopher’s Toolkit: How to Be the Most Rational Person in Any Room, taught by award-winning Professor Patrick Grim of the State University of New York at Stony Brook, arms you against the perils of bad thinking and supplies you with an arsenal of strategies to help you be more creative, logical, inventive, realistic, and rational in all aspects of your daily life.